. WHY SHOULD YOU BUY TECHARMOR BALLISTIC GLASS SCREEN PROTECTORS . MAXIMIZE YOUR RESALE VALUE . DID YOU KNOW a broken iPad Air 2/iPad Air screen is expensive to replace. 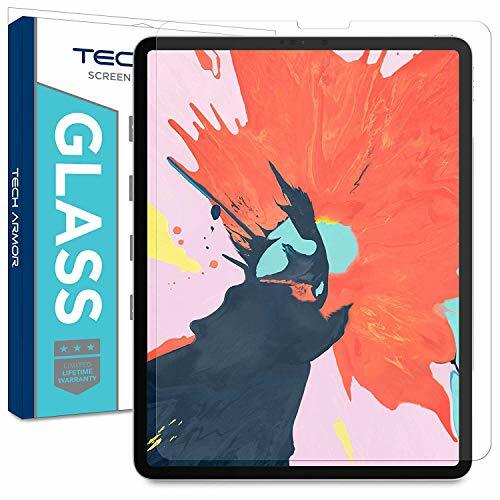 For a fraction of the price our Ballistic Glass Screen Protector will absorb almost any impact, sacrificing itself for your iPad Air 2/iPad Air screen. 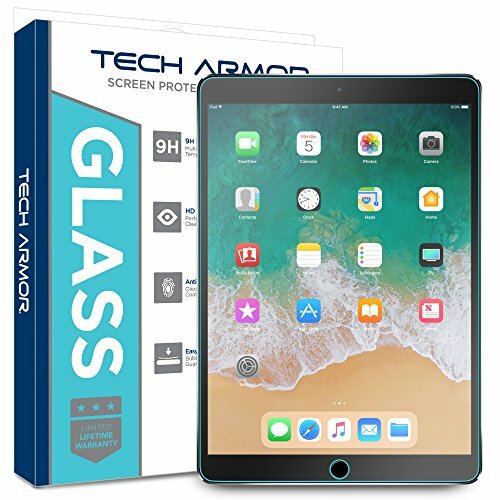 Tech Armor Ballistic Glass pays for itself as the first line of defense from scratches and drops and serves as a low cost insurance policy for your screen. 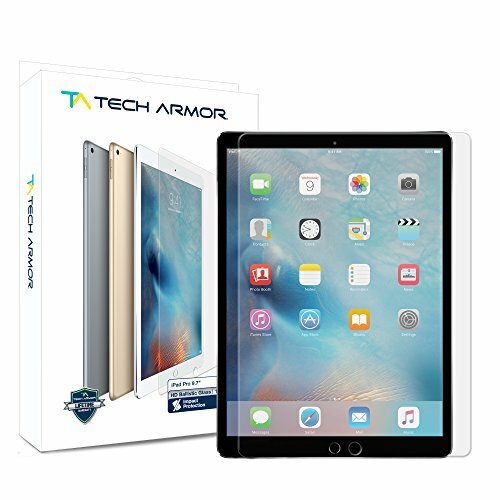 No detail has been overlooked with this Best In Class product from Tech Armor, industry leader in screen protection. If you only accept the BEST then look no further: BEST Protection from Drops. BEST Protection from Scratches. BEST Way to Maximize Resale Value. BEST No Bubble Installation. BEST HD Display Clarity. BEST Touchscreen Accuracy. BEST No Hassle Lifetime Replacement Program. COMPATIBILITY: Apple iPad Air 2 / iPad Air / NEW iPad 9.7 (2017), All Carriers, All Models. 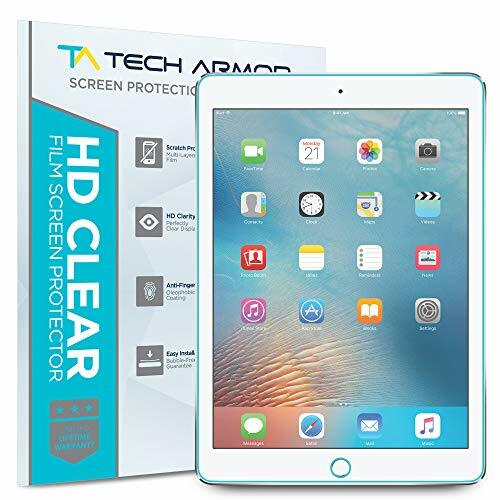 The Ballistic Glass Screen Protector Kit Includes: One (1) Screen Protector (.3mm 9H Rating), Installation Instructions, Alcohol Cleaning Wipe, Microfiber Cloth, Dust Removal Tape, Retail Packaging, and The Tech Armor Limited Lifetime Replacements. WHY SHOULD YOU BUY TECHARMOR BALLISTIC GLASS SCREEN PROTECTORS . MAXIMIZE YOUR RESALE VALUE . DID YOU KNOW a broken iPad Pro screen is expensive to replace. For a fraction of the price our Ballistic Glass Screen Protector will absorb almost any impact, sacrificing itself for your iPad Pro screen. Tech Armor Ballistic Glass pays for itself as the first line of defense from scratches and drops and serves as a low cost insurance policy for your screen. 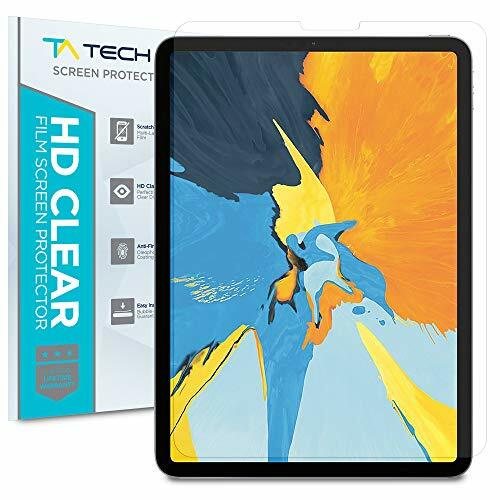 No detail has been overlooked with this Best In Class product from Tech Armor, industry leader in screen protection. If you only accept the BEST then look no further: BEST Protection from Drops. BEST Protection from Scratches. BEST Way to Maximize Resale Value. BEST No Bubble Installation. BEST HD Display Clarity. BEST Touchscreen Accuracy. BEST No Hassle Lifetime Replacement Program. COMPATIBILITY: Apple iPad Pro (12.9-inch) [NEW 2018], All Carriers, All Models. 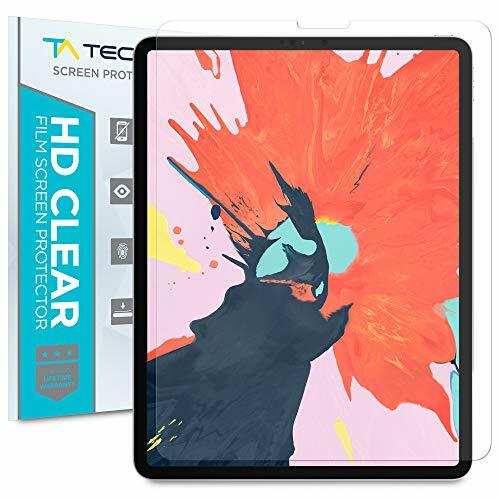 The Ballistic Glass Screen Protector Kit Includes: One (1) Screen Protector (0.25mm 9H Rating), Installation Instructions, Alcohol Cleaning Wipe, Microfiber Cloth, Dust Removal Tape, Retail Packaging, and The Tech Armor Limited Lifetime Replacements. DESIGNED SPECIFICALLY FOR IPAD PRO 10.5 and IPAD AIR 3 (2019). WHY SHOULD YOU BUY TECHARMOR BALLISTIC GLASS SCREEN PROTECTORS . MAXIMIZE YOUR RESALE VALUE . DID YOU KNOW a broken iPad Pro screen is expensive to replace. For a fraction of the price our Ballistic Glass Screen Protector will absorb almost any impact, sacrificing itself for your iPad Pro screen. Tech Armor Ballistic Glass pays for itself as the first line of defense from scratches and drops and serves as a low cost insurance policy for your screen. No detail has been overlooked with this Best In Class product from Tech Armor, industry leader in screen protection. If you only accept the BEST then look no further: BEST Protection from Drops. BEST Protection from Scratches. BEST Way to Maximize Resale Value. BEST No Bubble Installation. BEST HD Display Clarity. BEST Touchscreen Accuracy. BEST No Hassle Lifetime Replacement Program. COMPATIBILITY: Apple iPad Air 3 or Apple iPad Pro (10.5-inch), All Carriers, All Models. 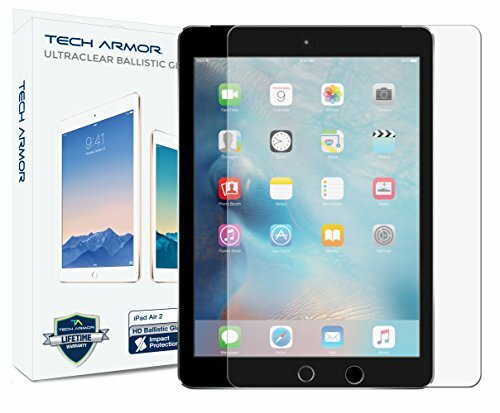 The Ballistic Glass Screen Protector Kit Includes: One (1) Screen Protector (.3mm 9H Rating), Installation Instructions, Alcohol Cleaning Wipe, Microfiber Cloth, Dust Removal Tape, Retail Packaging, and The Tech Armor Limited Lifetime Replacements.
. WHY SHOULD YOU BUY TECHARMOR BALLISTIC GLASS SCREEN PROTECTORS . MAXIMIZE YOUR RESALE VALUE . DID YOU KNOW a broken iPad Pro screen is expensive to replace. For a fraction of the price our Ballistic Glass Screen Protector will absorb almost any impact, sacrificing itself for your iPad Pro screen. Tech Armor Ballistic Glass pays for itself as the first line of defense from scratches and drops and serves as a low cost insurance policy for your screen. No detail has been overlooked with this Best In Class product from Tech Armor, industry leader in screen protection. If you only accept the BEST then look no further: BEST Protection from Drops. BEST Protection from Scratches. BEST Way to Maximize Resale Value. BEST No Bubble Installation. BEST HD Display Clarity. BEST Touchscreen Accuracy. BEST No Hassle Lifetime Replacement Program. COMPATIBILITY: Apple iPad Pro 9.7-inch (2016/2017), All Carriers, All Models. 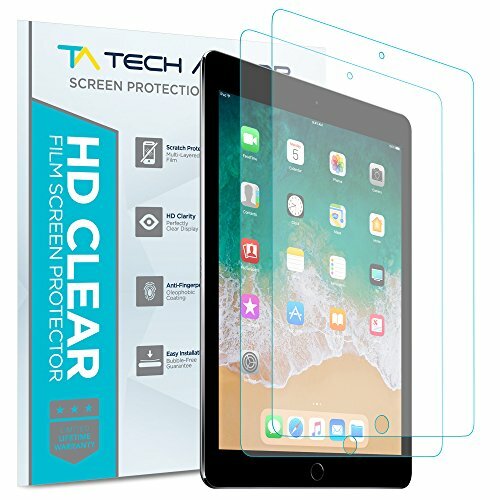 The Ballistic Glass Screen Protector Kit Includes: One (1) Screen Protector (.3mm 9H Rating), Installation Instructions, Alcohol Cleaning Wipe, Microfiber Cloth, Dust Removal Tape, Retail Packaging, and The Tech Armor Limited Lifetime Replacements. Shopping Results for "Tech Ipad"